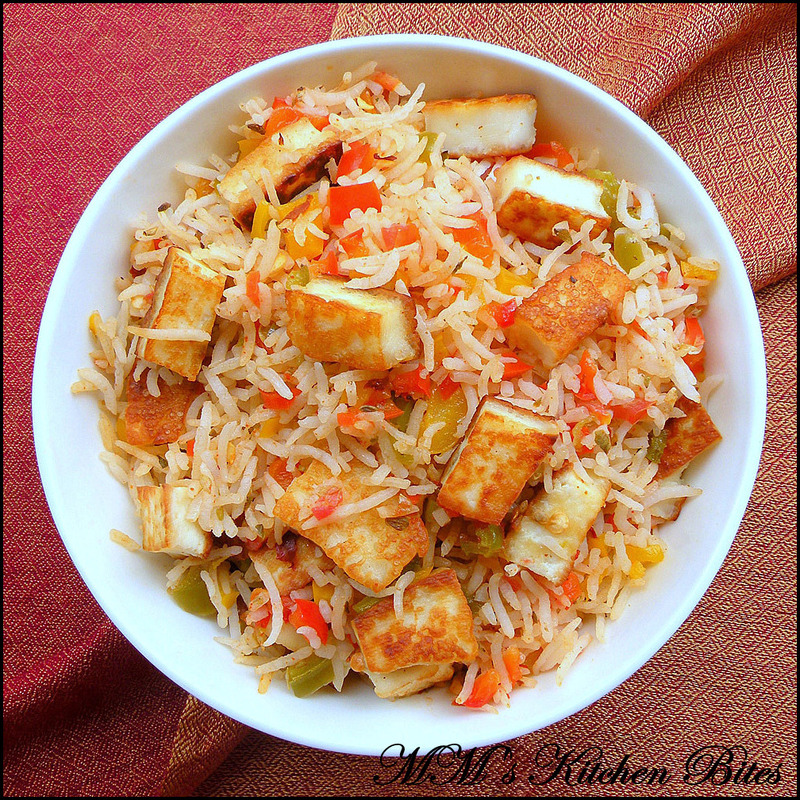 MM's Kitchen Bites: Cottage Cheese Fried Rice...Hungry Kya?? Cut Paneer into cubes and soak in salted water for about 10-15 minutes. Drain well and keep aside. Heat 1 tbsp oil in a pan. Toss in the garlic, onions and sauté till onions go soft. Add in the bell peppers, salt, chili powder, cumin, oregano and green chili (if using). Sauté for a couple of minutes and add in the rice. Mix well and keep tossing around for a couple of more minutes. Adjust seasoning, empty out the rice in a bowl and keep side. Heat the remaining 1 tbsp oil in the same pan. 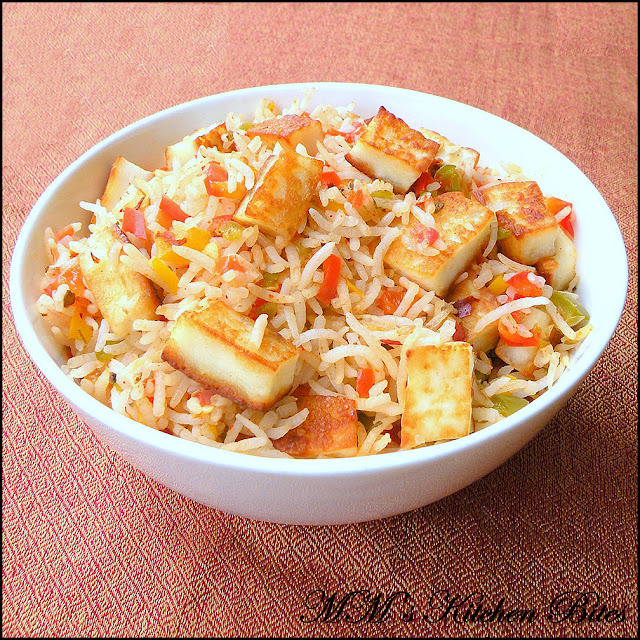 Add the paneer cubes in single flat pile in the pan – be careful, oil will splutter the second you add the paneer. On high heat, shallow fry the paneer on both sides till crispy and golden brown. This needs to be done quickly so that paneer doesn’t lose too much water and become dry. Add the rice back in and mix well. Done. Hate Paneer/Indian Cottage cheese or can’t find it? Add in grated cheddar cheese instead for a completely different option. Want a healthier option than Cheddar cheese or an extra helping of protein? add in tinned/boiled beans of your choice. Would tofu be acceptable as a substitute for paneer?